Red Wine and High Heels: Cheesy Grilled Corn. Oh My! This long weekend was filled with good food, house cleaning (actually gave some closet inches to the BF), relaxing evenings (in which I tried as many of these flavors as I could) and and a few fireworks. One of the evenings the BF suggested that we grill some steaks and I had been wanting to throw corn on the grill since we returned to the US so this was the perfect opportunity. While I know Paula Deen has been having a rough go of it these last few weeks, that doesn't change the fact this grilled corn recipe is flipping awesome. 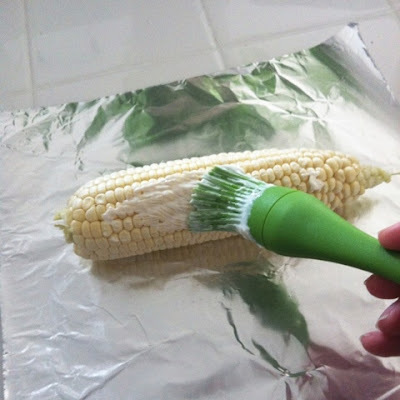 Of course I have a few suggestions/changes that I recommend from experience, starting with making sure you use non-stick foil or slather and sprinkle after the grill. 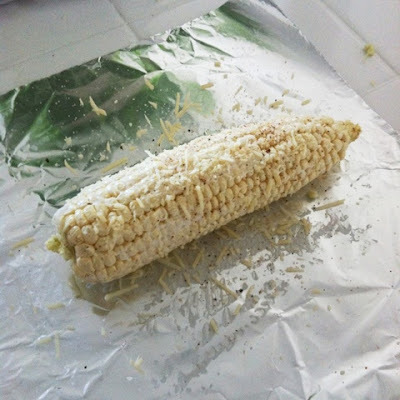 Both solutions work and this time I happened to have some nonstick foil so I pre-slathered and sprinkled, but usually I do it after the corn is grilled. The other suggestion is to use Veganaise instead of mayo. 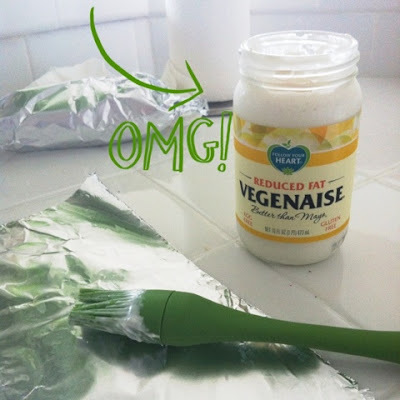 It doesn't turn you vegan, I promise, but I so prefer the taste that I use it on everything. It's really that good. Give the corn a health dose of Veganaise.